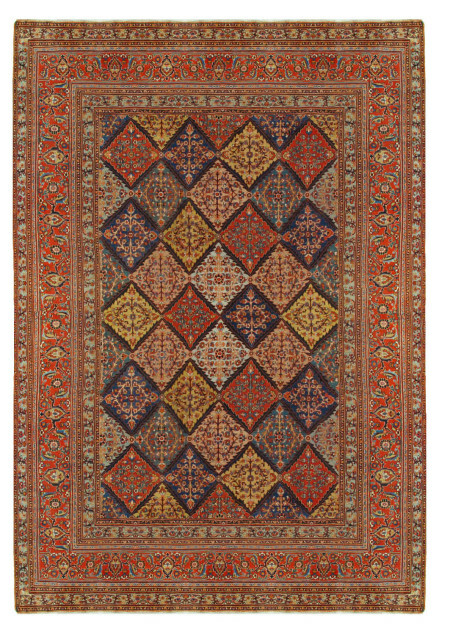 Senha (Sanandaj) is the capital of Kurdistan province in western Iran and one expects the antique Persian hand woven rugs from there to be urban in style and execution. 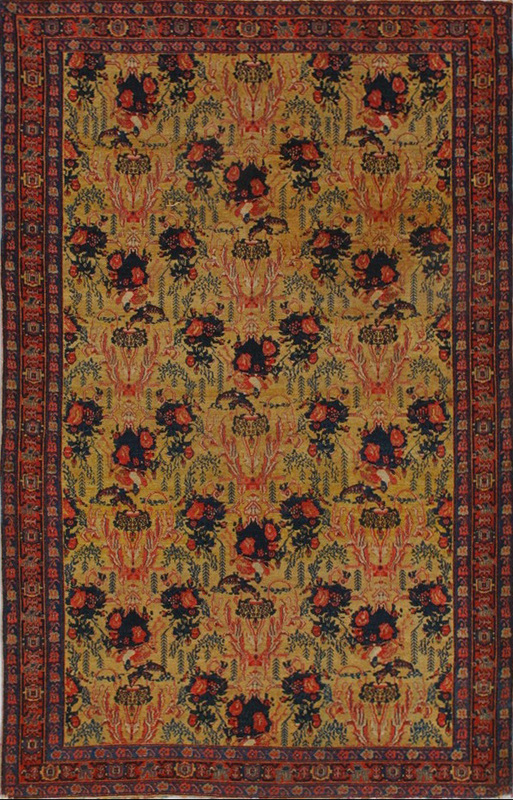 This yellow ground piece in excellent condition on a seven-color silk warp is a fine example of this taste. The overall pattern of floral bouquets and perching nightingales (bulbuls) is precisely executed over a close background of leaves and stems. 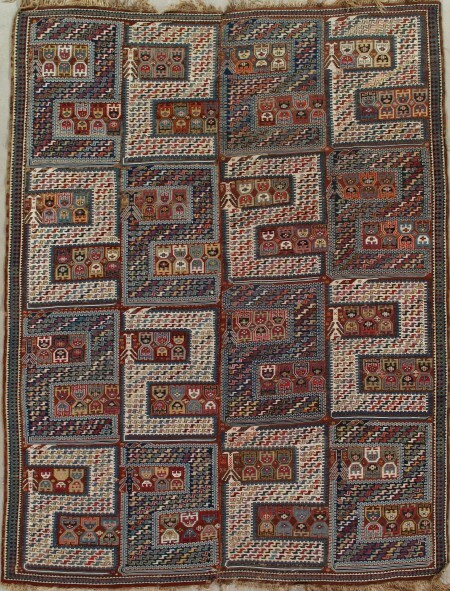 The narrow borders frame, but do not intrudes, on the central panel. 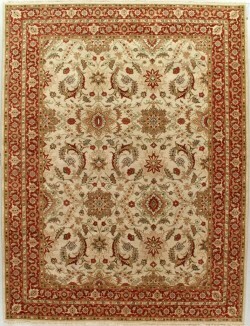 The pile is very short, the texture is crisp, and the back is sandy and firm in feel. 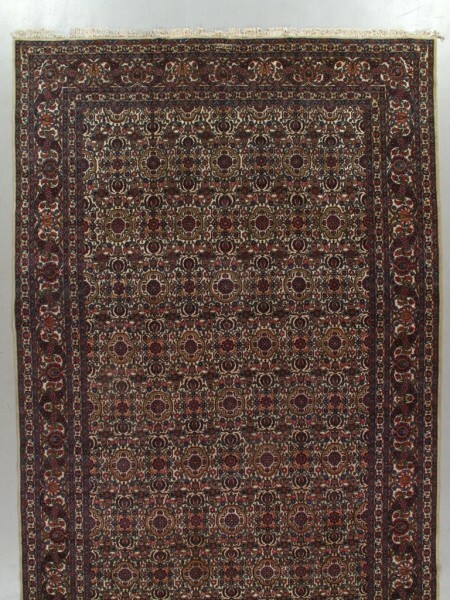 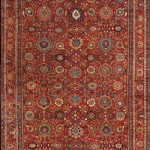 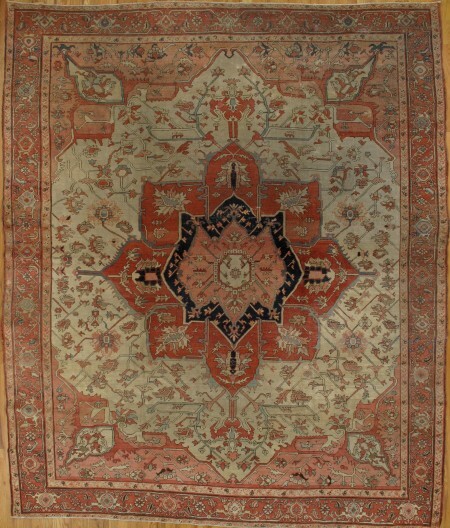 Few antique Persian rugs can better express the aesthetic of late 19th century urban Iranian weaving.